I'm quite obsessed when it comes to teeth, I'm always worried about fillings, my teeth moving and looking yellow so dental hygiene has become quite an important thing to me especially since I'm terrified to go to the dentist. 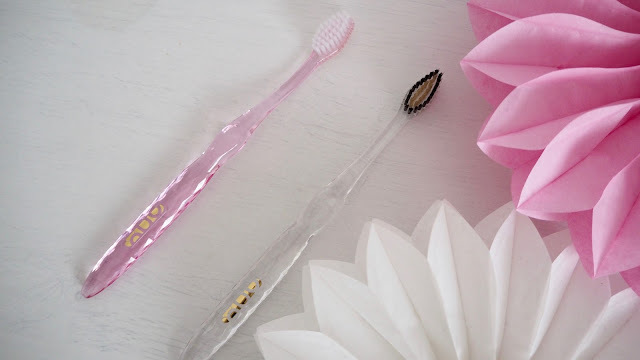 Recently I have been trying the new Nano-B toothbrushes and so far I've been very impressed. Nano-B state that their are 10 million bacterias living on your toothbrush so these toothbrushes have been signed to be naturally antibatercial which is great. Each toothbrush comes in a travel friendly case which proved to be quite handy on my recent holiday. 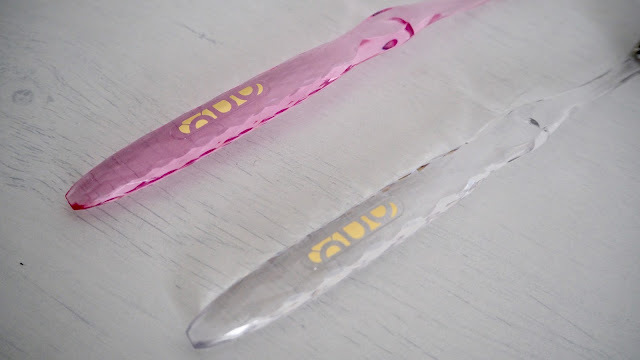 I love the style of these toothbrushes, I never thought a toothbrush could be pretty but these sure are! The gold tooth brushes are made with bamboo and charcoal whitening bristles to absorb toxins from your teeth. The bristles are lovely and soft and don't irritate my gums. Priced at £7.99 I think these are amazing quality and definitely worth investing in.